WHY CALL FOR 6 JUSTICES TO INHIBIT IN QUO WARRANTO HEARING? PANGILINAN SAYS SUPREME COURT IS A FAKE! Senator Francis Pangilinan has expressed his dismay over Supreme Court's (SC) decision on Maria Lourdes Sereno's fate as Supreme Court Ex-Chief Justice. With 8-6 votes majority to oust Sereno, Kiko called SC as "Bogus" trial. 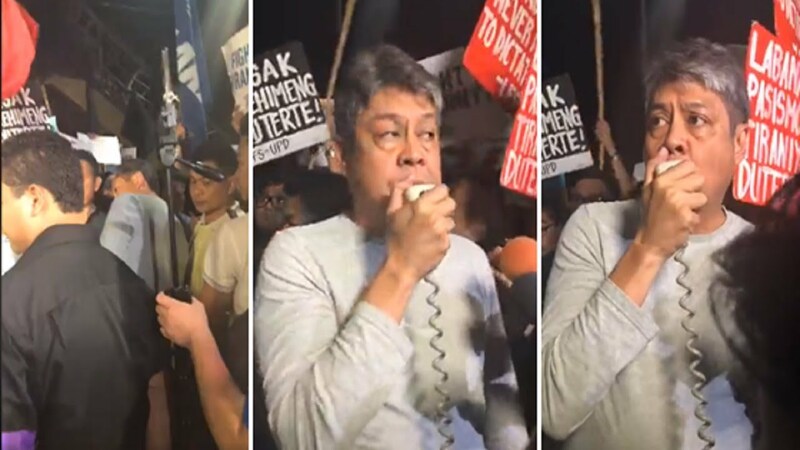 Pangilinan in his Facebook account said, "Wala [nang] independence ang Korte Supreme... Isang sunud sunuran na korte na lamang ang SC. Huwad na Kataastaasang Hukuman," (The supreme court has no independence now. Its a puppet now. A Bogus high court. He added the ouster movement using a Quo Warranto pettition, which file by Office of Solicitor General Jose Calida is unconstitutional. Sereno's camp will file a Motion for Reconsideration to invalidate the petition.